Ricoh is a Japanese imaging and electronics company which is known primarily for its cameras and office equipment, including printers, photocopiers, fax machines, and more. With Big Apple Buddy’s personal shopping service, you can now buy direct from the USA Ricoh online store anytime, anywhere. The USA Ricoh store offers several different camera types to help unleash your inner photographer. The Ricoh Theta S will allow you to experience a whole new world of images with just the touch of a button. This camera creates spherical images and videos and comes with a large image sensor that produces approximately 14 megapixel, high-quality spherical images and a Full HD movie recording up to 25 minutes long. With a built-in memory of 8GB, the Theta S is capable of storing your most beloved family moments and memories. Embrace the future of digital photography with the Theta S! The Ricoh WG-M2 is another camera that will help you capture life’s best moments in an entirely new way. You don’t have to worry about getting the WG-M2 wet or dropping it: this camera is entirely waterproof, shock resistant, and coldproof, so it can withstand the most severe circumstances. It’s also extremely lightweight and compact, so it’s easy to carry around with you when you travel! This camera’s 204-degree ultra-wide-angle lens will help you capture dynamic and high-resolution photos, so you can make sure that no memory goes undocumented. 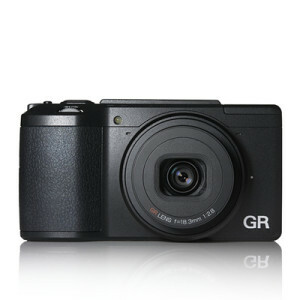 The Ricoh GR II Camera is a small, lightweight camera that will hold all of your big ideas. 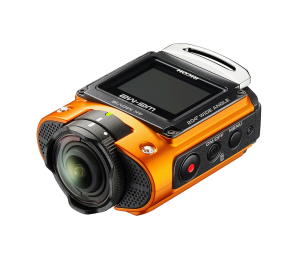 This camera comes equipped with a highly rigid magnesium exterior, so you can bring it with you on your craziest of adventures. And with a large-imaging area, wide dynamic range image sensor, you can be sure that your photos will always be crystal clear. Unfortunately, the USA Ricoh online store does not currently offer international shipping. However, Big Apple Buddy, your personal shopper, can help you buy products direct from the official USA Ricoh online store and ship them to your doorstep, no matter where you are in the world. We offer international shipping to over 190 countries including Australia, Austria, Bahrain, Belgium, Bosnia & Herzegovnia, Brazil, Brunei, Canada, China, Croatia, Cyprus, Denmark, Estonia, Finland, France, Germany, Hong Kong, Hungary, India, Indonesia, Ireland, Israel, Italy, Japan, Kenya, Kuwait, Lithuania, Macau, Malaysia, Maldives, Mexico, Namibia, Netherlands, New Zealand, Norway, Oman, Pakistan, Philippines, Portugal, Saudi Arabia, Scotland, Serbia, Singapore, Slovenia, South Africa, South Korea, Spain, Sri Lanka, Sweden, Switzerland, Taiwan, Tanzania, Thailand, UAE, UK and Ukraine. If you would like to buy from the USA Ricoh online store, simply let us know which items you would like to order (by filling out the form on the right) and we’ll get back to you with a free international shipping quote within 24 hours!